With a 3-0 win over the Edmonton Oilers last night, Garret Sparks become only the 23rd goalie in NHL history to record a shutout in his first game. He's the first to do it as a member of the Toronto Maple Leafs. Send him back down immediately! Honestly, they can't even lose properly. Have you seen Reimer lately, he's no better! If we're going to finish last, we're going to have to start riding the Bernier express to the bottom. its all good people..Reimer is playing well..but it has to end..they are allowing far too many shots again and it will catch up to them..I'm expecting a top 5 pick.. There was a twitter poll asking who fans think should start the next game. Overwhelmingly people were voting for Sparks. I put my vote in for Bernier. 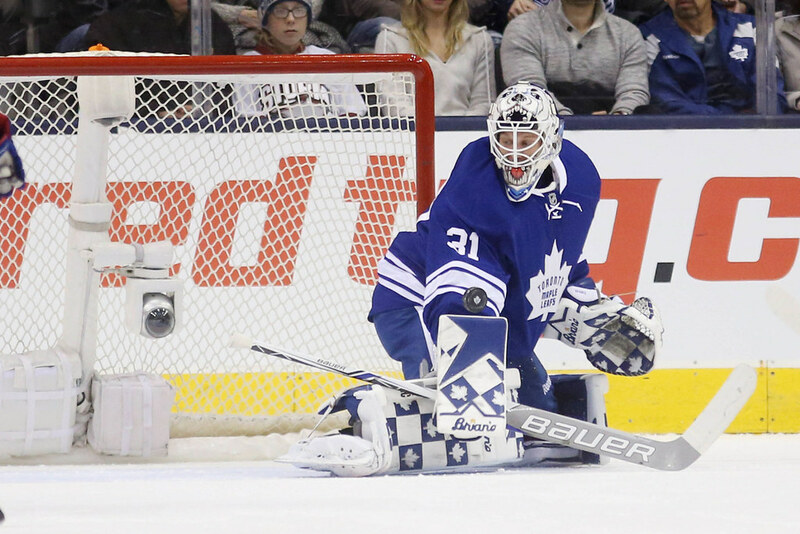 Reimer may return to normal...but in the meantime, the Leafs are picking up these valuable early points. That needs to stop! I think the plan is to make everyone look good come trade time and then unload people. I still believe Babcock wants to win (as in winning this year). He knows he doesn't have the talent to compete for a cup but I bet he feels with the right coaching and great goaltending, they could get there. I know its not what most fans want to hear but I'm OK with it. Without a doubt Babcock wants to win every game. Exhibit A is playing Sparks last night instead of Bernier. I've never been comfortable with the notion of tanking the season for a better draft pick, at least this early in the year. It was different last season in the dog days of the moribund Horachek era in February and March when this team was clearly going nowhere but down. This time around, the Leafs have some intriguing pieces and ice a team that gives 100% every night instead of that team of quitting losers last season. For now, I say let them win. Win, win, win. Congrats to Garret Sparks on an awesome first NHL start, he really endeared himself fans last night with a) his amazing Trevor Kidd throwback pads and b) his heartfelt post-game interview. Hope to see more of the kid this year. Not to take anything away from Garret Sparks, but the most targeted comment I heard about last night's game was "Let's be realistic here. It was against the Oilers, who managed a total of 24 shots on net." No worries about the draft position. The draft lottery is slightly changed this year, so the benefits of finishing dead last are reduced. The team is sufficiently crappy to garner a decent pick in an ok draft year. A nice win and a nice story. Heard he was in tears after the game.